Barium is a soft, silvery-white metallic element of the alkaline-earth group. It occurs only in combination with other elements, especially in barite. It is a chemical element with symbol Ba and its atomic number 56; atomic weight 137.33; melting point 725°C; boiling point 1,140°C; specific gravity 3.50; valence 2. Its hydroxide, known in pre-modern history as baryta, does not occur as a mineral, but can be prepared by heating barium carbonate. The barium name originates from the alchemical derivative “baryta”, from Greek βαρύς (barys), meaning “heavy.” Baric is the adjectival form of barium. 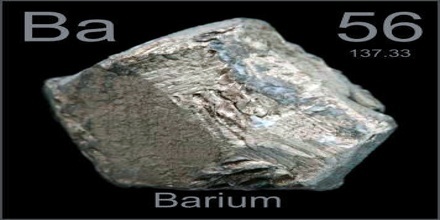 Barium was identified as a new element in 1774, but not reduced to a metal until 1808 with the advent of electrolysis. 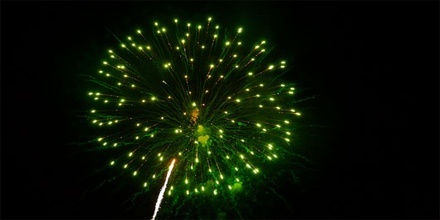 Barium compounds are added to fireworks to impart a green color. Barium compounds are used in x-raying the digestive system and in making fireworks and white pigments. Barium compounds are also used by the oil and gas industries to make drilling muds. Drilling muds make it easier to drill through rock by keeping the drill bit lubricated. Historically, it was used as a getter for vacuum tubes. 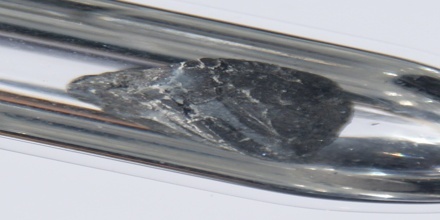 It is a component of YBCO (high-temperature superconductors) and electroceramics, and is added to steel and cast iron to reduce the size of carbon grains within the microstructure. Barium is a member of the alkaline-earth family of metals. It is a relatively common element, ranking approximately 14th in natural abundance in the Earth’s crust; it is more plentiful than, for example, sulfur or zinc. It is prepared by electrolysis of barium chloride. The most significant compounds of the element are the peroxide, chloride, sulfate, carbonate, nitrate and chlorate. The primary commercial source of barium is barite, a barium sulfate mineral. The barite reserves are estimated between 0.7 and 2 billion tonnes. The maximum production, 8.3 million tonnes, was produced in 1981, but only 7–8% was used for barium metal or compounds. Barite production has risen since the second half of the 1990s from 5.6 million tonnes in 1996 to 7.6 in 2005 and 7.8 in 2011. China accounts for more than 50% of this output, followed by India (14% in 2011), Morocco (8.3%), US (8.2%), Turkey (2.5%), Iran and Kazakhstan (2.6% each). 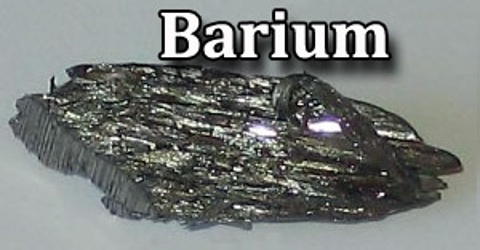 Barium also has 10 meta states, out of which barium-133m1 is the most stable with a half-life of about 39 hours. Barium is generally kept under an oxygen-free liquid such as petroleum. It can be decomposed after exposure to water or air. Naturally occurring barium has seven stable isotopes. Twenty-two other radioactive isotopes are known. It is a soft metal belonging to the alkaline earth metals group. It is silvery-white and oxidizes very easily. Its chemical composition resembles calcium. Barium salts are typically white when solid and colorless when dissolved, and barium ions provide no specific coloring. 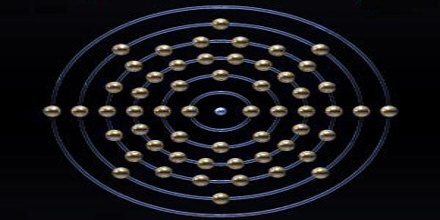 They are denser than the strontium or calcium analogs, except for the halides. Barium sulfate, as a permanent white or blanc fixe, is also used as lithopone in paint, X-ray diagnostic work and glassmaking. Barium is also used extensively in the production of fireworks. White fireworks are also often, but not always, created using barium oxide. Barium carbonate is used as a rat poison, and barium sulfate (barite) is commonly used as a weigh agent in oil well drilling fluids, and to make rubber. Barium nitrate and barium chlorate produce green colors in pyrotechnics. Barium is suitable for this purpose because of its low vapor pressure and reactivity towards oxygen, nitrogen, carbon dioxide, and water; it can even partly remove noble gases by dissolving them in the crystal lattice. This application is gradually disappearing due to the rising popularity of the tubeless LCD and plasma sets. Reference: livescience.com, dictionary.com, owlcation.com, wikipedia.